Brenda E. Stevenson is professor of history at UCLA and the author of "The Contested Murder of Latasha Harlins: Justice, Gender and the Origins of the L.A. Riots." 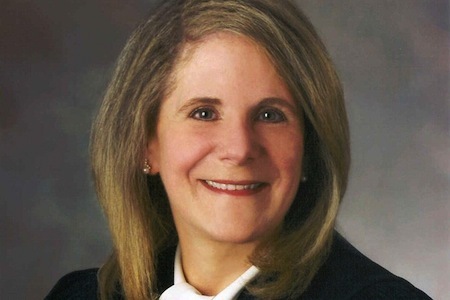 Judge Debra Nelson, who presided over the trial of George Zimmerman. Soon Ja Du shot and killed Latasha Harlins in South Central Los Angeles on March 16, 1991. The outcome of California v. Du helped spark the Los Angeles riots of 1992, the deadliest and costliest in U.S. history. In this case, the decedent, the defendant, the judge and the prosecuting attorney all were female. They also all were from different races or ethnicities, generations and social classes. Du was a 51-year-old Korean shopkeeper. Latasha was a 15-year-old African American from a working poor family. The judge, Joyce Karlin, was a 40-year-old Jewish American woman from a wealthy family -- her father had been president of Warner Brothers and of the Motion Pictures Association of America. Along with the social distance between these females, gender played out in every aspect of this case; and, in the end, it was a deciding factor. The jury found Soon Ja Du guilty of voluntary manslaughter and the black, female probation officer recommended to the court that the convicted felon receive the maximum sentence of sixteen years. The judge, however, decided that Du should serve no jail time for killing Harlins. Why? Because on trying to decide which person was really the victim -- Latasha or Soon Ja -- Judge Karlin decided that it was Soon Ja, a model, in the judge’s eyes, of feminine vulnerability, compassionate motherhood and respectable womanhood. In the hierarchy of women present in this case, Karlin had the power and the discretion to decide which of these females of “minority” racial status was guilty, and who was not. She determined that the black girl, although dead from a single gunshot wound to the back of her head, was more aggressor than victim; more guilty than Du, whom the jury already had convicted of murder. In Florida v. Zimmerman, women again had extremely important roles to play in determining the outcome of this case. Despite the fact that Martin and Zimmerman were both men (as were the lead defense and prosecuting attorneys), the judge, Debra Nelson, the special prosecutor, Angela Corey, and the jury were all women. Women, therefore, determined the key decisions that led to Zimmerman’s acquittal. Special prosecutor Angela Corey, for example, decided that Zimmerman should indeed be charged with second-degree murder, after the male police chief in Sanford, Bill Lee, concluded that Zimmerman had acted in self-defense and should not be arrested. Judge Debra Nelson made essential rulings on evidence and other aspects of the case. She decided that the prosecution should have access to Trayvon Martin’s text messages and social media files, but that the jury should not. She excluded the prosecution’s expert witness regarding the voice heard screaming “help” on the 911 tape. In her instructions to the jury at the end of closing arguments, Nelson allowed the jury to consider the lesser charge of manslaughter; but not murder in the third degree. She also decided that the jury should be sequestered during the duration of the trial and mandated the quick pace of trial proceedings. And of course, the all-female jury was left to resolve the question of who was the true victim -- George Zimmerman or Trayvon Martin. While evidence was scanty on both sides of the aisle, one of the central queries that dominated the issue of victimization was the identity of the person pleading for assistance on the 911 tape. Trayvon’s mother, Sybrina Fulton, testified that it was her son. George Zimmerman’s mother, Gladys Zimmerman, then testified it was her son’s voice. Whose mother was more convincing to this jury? When given the task of sentencing Du, the judge chose to underscore the victimization of the woman whose “womanhood” was most like hers. She believed Du was more the injured party than Latasha. Did the jury of six women, five of whom were mothers, in Florida v. Zimmerman, choose to believe the mother whose life, culture and son were most like theirs? Like Judge Karlin in California v. Du, the mostly white female jury was in the position of assessing the victim status of women of color and, in this case, their sons. It has only been in the last fifty years or so that women have gained such significant presence as lawyers, prosecutors, and jurists. It will become increasingly important, therefore, that we understand the kinds of histories and socializations of females in our society that they bring into the courtroom, that weighs in when they consider the evidence, victims and defendants before them. Do these women act as those who, historically, have dominated the courtroom -- white men of status? Or are their experiences, expectations, insights and miscalculations unique because of their gender? Gender certainly held influence in California v. Du. It did so, no doubt as well, in Florida v. Zimmerman.